Most Americans want US troops out of Afghanistan after more than a decade of war, according to a recent poll. But they want missions targeting Al Qaeda to continue, which could make the nation fall between two stools. The Reuters/Ipsos survey reflects Americans’ frustration over a war that has recently brought the country significant embarrassment, meaning the NATO campaign now has few ardent supporters. Almost two-thirds of the US citizens surveyed in the online poll said they oppose a long-term commitment by Washington to support Afghanistan’s economy and security for ten more years beyond the 2014 withdrawal. The Strategic Partnership Agreement between the two countries, pledging US financial and military help until 2024 was signed by the US and Afghan presidents during Obama’s secret visit to Afghanistan on May 1. For taxpayers, this means giving $4 billion to Afghanistan annually, if the funding is approved by Congress. And Americans are not excited about that at all. 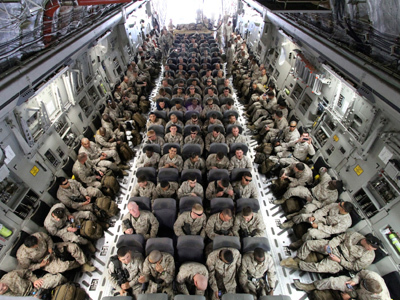 77 per cent of those who took part in the poll said they wanted all US combat troops – excluding trainers and special forces – to leave Afghanistan by the end of 2012. Nearly the same amount, 73 percent, said they did not want the United States to establish any permanent military bases in Afghanistan. 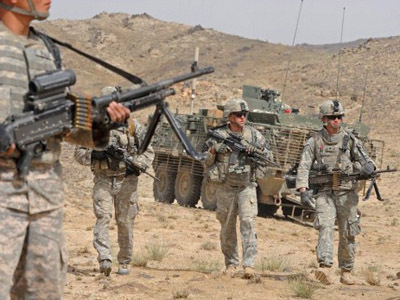 However the poll also suggests that most Americans favor keeping some US forces in Afghanistan: six out of ten said the US military should conduct missions targeting Al Qaeda. ­The Reuters/Ipsos poll was conducted on 2-4 May. 776 people were surveyed. The precision of online polls is measured using a credibility interval, similar to a margin of error. This poll had a credibility interval of plus or minus 4.1 percentage points. 57 per cent are in favor of having troops in the country to help the Afghan army with training. All in all though, the findings suggest "Americans essentially want to be done with Afghanistan," says Ipsos pollster Chris Jackson. 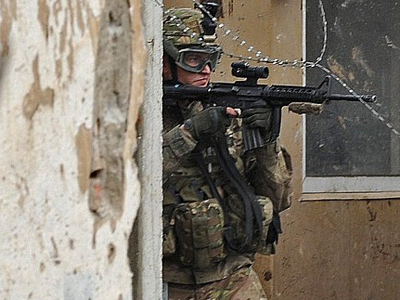 NATO has around 130,000 troops deployed in Afghanistan – of which about 99,000 are from the United States. The mission has lasted for more than a decade and is widely considered to have entered an impasse. US soldiers are perceived by many Afghans as hostile occupying forces who do not understand the culture or religion of the people they are supposed to protect. This impression has doubtless been reinforced by recent military scandals including the burning of Korans at Bagram Air Base in February, the video showing US marines urinating on the corpses of Taliban fighters, and the March murder of 16 Afghan civilians, including children by an American sergeant in Kandahar. The scale of the PR-disaster the US is facing as a result made Pentagon head Leon Panetta call on troops to honor their military values in a special address on Friday. Panetta said abuse and violence committed by soldiers could be used by enemy insurgents to fuel their fight. Experts believe tensions between the United States and the Afghan government have continued to grow in recent months. The number of westerners killed by Afghan security forces and Taliban infiltrators is rising sharply. It now accounts for 20 per cent of all NATO casualties this year. “We broke the Taliban’s momentum. We’ve built strong Afghan Security Forces. 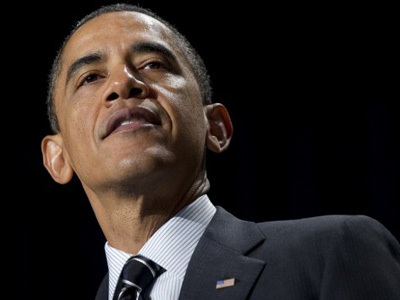 We devastated Al Qaeda’s leadership, taking out over 20 of their top 30 leaders,” Obama said during his visit this week. But a few hours after his plane took off, Kabul was hit by at least five explosions. 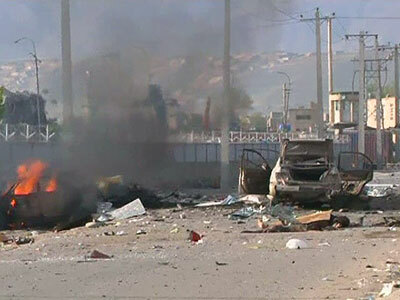 The attacks were claimed by the Taliban, which confirmed that the bombings were its response to Obama’s visit. 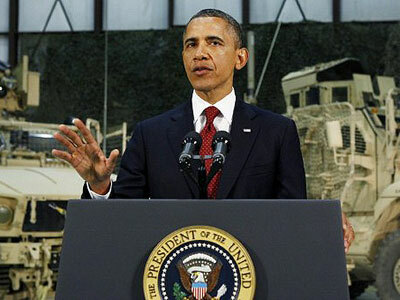 Such incidents seem to show that US troops cannot put an end to the violence, putting Barack Obama, who promised to end the war during his 2008 presidential campaign, under heavy pressure. Not only is the majority of Republicans against the war – many Democrats oppose it, as well. "Basically since before the 2008 election there's been an increasing sense of war fatigue with the American population," Chris Jackson says. "They want things to be done with, but they don't want them to be done in a way that makes it seem like we've lost or were defeated. They want to end it with a win." But every day, a triumphant departure from Afghanistan seems less likely for the US administration and military.